We will be happy to help you arrange shipping one of these fine canoes to you. PLEASE Call us at 1-800-452-9257 to order... or you may order on this page. � NOTICE: Michi-Craft models on this page may be shipped to your location; shipping costs must be added. Shipping costs shown here are an estimate. Once we have your order/address we will confirm model, color, address and all costs with you via email prior to shipping. Orders generally ship in about 2 weeks, this can vary depending on your size and color choice. Michi-Craft specializes in canoes. It's all they do! You can be sure Michi-Craft has a model and length that is just right for you. Whether you prefer the peace and solitude of gliding down a quiet river or the high adventure of challenging Whitewater. Michi-Craft believes aluminum is the best hull material for canoes. Aluminum canoes are light weight, durable, economical and require little maintenance. Aluminum offers safety and stability at a reasonable price. Aluminum is not vulnerable to abrasion and the extreme flexing of plastic canoes. 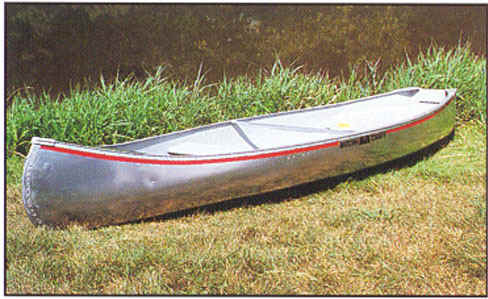 Your Michi-Craft aluminum canoe will not deteriorate in sunlight or during prolonged exposure to extreme temperatures. The strength of aluminum actually enhances with age. Michi-Craft offers a LIFETIME warranty against hull puncture under normal conditions. Michi-Craft canoes have stood the test of time and they confidently offer this unique warranty against hull puncture on canoes. There is no substitute for quality workmanship and that is what you get from Michi-Craft. The attention to detail is unmatched in the boating industry. It takes a little longer to build a Michi-Craft canoe, but quality is worth it. So why wait? There are miles of beautiful rivers and thousands of lakes right at your back door. Fun, adventure, excitement and good times are just around the next bend. Enjoy your new Michi-Craft with confidence, they're all made in USA. The Michi-Craft canoe warranty covers defects in material or workmanship (excluding paint) under normal non-commercial use for a period of one (1) year from the date of purchase. This warranty extends only to the original purchaser and excludes Livery or commercial users. 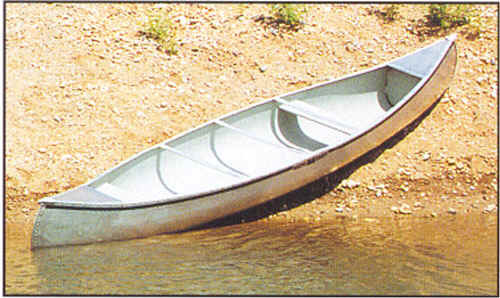 For details, please refer to the Warranty and Registration Card supplied with each Michi-Craft canoe. ALL MichiCraft Canoe prices shown here are PLUS shipping... Shipping prices here are an estimate. We'll confirm once we have your order/address. Zone 1; $299 (AL, AR, CT, DE, GA, IL, IN, IA, KS, KY, LA, ME, MD, MA, MI, MN, MS, MO, NE, NH, NJ, NY, NC, ND, OH, OK, PA, RI, SC, SD, TN, TX, VT, VI, WV, WI). Zone 2; $389 (AZ, CO, FL, ID, MT, NV, NM, UT, WY, Washington DC, New York City, Long Island NY). Zone 3; $450 (CA, OR, WA). Excludes Hawaii. -Please call or email for a shipping quote if you live in a remote area, on an island, OR Alaska (there are additional shipping charges). We will confirm model, color, address and all costs with you via email prior to shipping.